This book disappointed me, not because it was bad, but because it had the potential to be outstanding. While Hannah does a wonderful job portraying the state of occupied France in World War II, the characters felt like types. Many reviewers praise the sheer originality of the book for its portrayal of French women in WWII, but I kept thinking of Jojo Moyes's stronger novel The Girl You Left Behind. Release date: February 3. 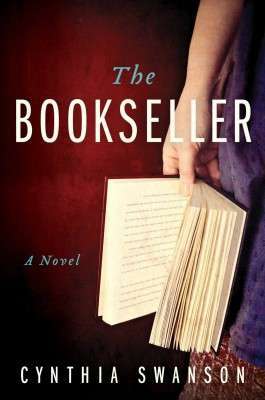 It's Denver, 1962, and Kitty Miller is happily living the single life, co-running a struggling bookstore. But then she begins having dreams that show her an alternate reality: the life she would have had if one single moment had unfolded differently. (Think Sliding Doors.) If you thought The Life Intended's plot was farfetched, you aren't going to like this one. This felt a little gimmicky to me (and the autism thread felt especially heavy-handed), but I did appreciate the numerous literary references. Release date: March 3. Talk about big fat books: This time-travel romance series has 8 books to date, totaling 8,479 pages, and 300+ hours on Audible. If you read the words "time-travel romance" and rolled your eyes, you're not alone: I did the same, until I read the backstory. 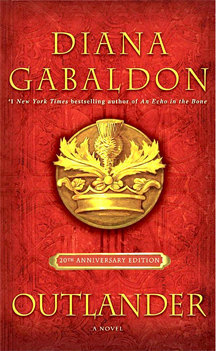 As she tells it, Gabaldon intended to write a realistic historical novel, but a modern woman kept inserting herself into the story! She decided to leave her for the time being—it's hard enough to write a novel, she'd edit her out later—but would YOU edit out Claire? I didn't think so. From the publisher: "Unrivaled storytelling. Unforgettable characters. Rich historical detail. These are the hallmarks of Diana Gabaldon's work." You could happily lose yourself in this series for a whole summer (but heads up for racy content and graphic torture scenes). Shorr puts a fictional spin on real-life Brazilian folk heroes Lampião and Maria Bonita in this lyrical debut. After enduring 6 years of a loveless in-name-only marriage to a man she couldn’t stand, Maria Bonita leaves to become the wife of Lampião, Brazil’s beloved bandit, whose vigilante justice is indisputably more fair than the official kind. Soon Maria earns renown as the fiercest woman in Brazil, the queen of a band of merry outlaws. A well-paced novel, if not a page-turner: don’t give up when the going is slow in the first two chapters. It gets better. Evocative and moving. 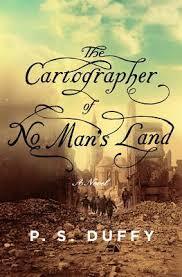 Riveting historical fiction by one of the finest historical novelists. 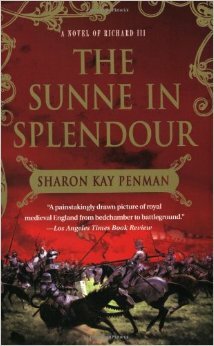 Penman takes on fifteenth century England and the War of the Roses, recreating the life of Richard III: England's most controversial and most vilified monarch. The first hundred pages read like a history book (and I don’t mean that as a compliment) and the cast of characters is a bit overwhelming at first, but keep at it. 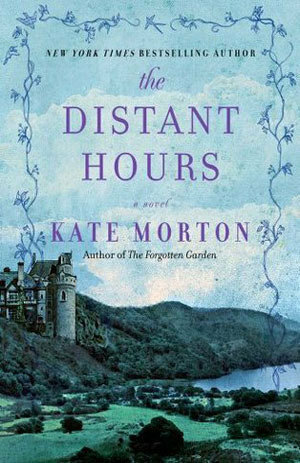 Recommended reading for Outlander fans (but no time travel here). I loved A Tree Grows in Brooklyn so much I decided to move on to another of my mom’s favorites. Again, what was I waiting for? It was a little slow in the beginning, and the purposely bad grammar and diction got on my nerves, but don’t give up—the author knows what she’s doing, and it gets better. 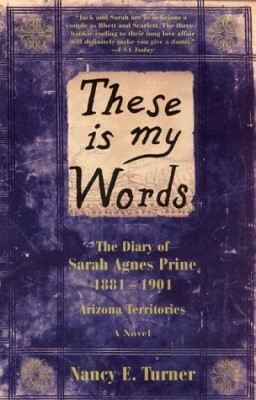 The story about a woman in the Old West really works in diary format. Brutally honest, heart-wrenching, engrossing. I’ve been meaning to read this forever and finally got to it last month—and I’d completely forgotten that it was one of my mom’s favorites. When I mentioned on the blog I was reading it, many readers chimed in to say it was their favorite book of all time. Some novels just tell a great story: this is one of them. 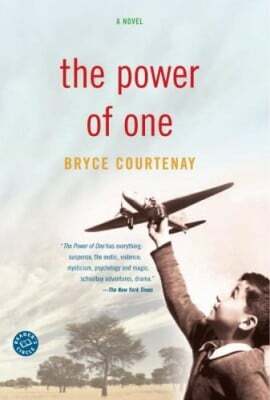 Set in South Africa during the 1930s and 40s, following the struggles of a young boy named Peekay. The breadth of the story is fascinating (boxing, apartheid, horticulture). The beginning reminded me of All the Light You Cannot See, not a bad comparison, but a sad one. A story of resiliency and redemption. 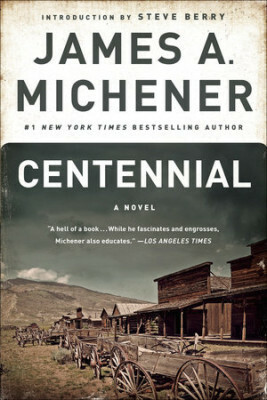 Michener is best known for his sweeping historical sagas: he wrote this epic novel to commemorate America’s bicentennial in 1976. This is the story of the American West, and especially Colorado. It spans 136 million years, covering the prehistoric era, Native Americans, trappers, traders, homesteaders, gold diggers, and cowboys, right on up to 1970s America. Meticulously researched, and so accurate it’s required reading for some history classes. Gripping enough to keep you turning all 1056 pages, more than once. This 2014 release got a ton of end-of-year buzz. 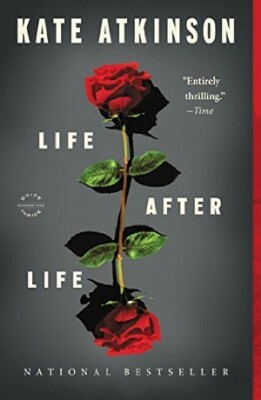 The writing was solid but I ultimately found the story—an exploration of love, affluence, and greed—unsatisfying, because the author left some of the most compelling parts of the story unexplored. I wouldn't bother with this one if I had it to do over. 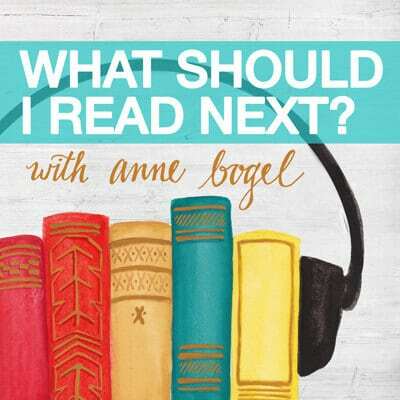 I listened to this as an audiobook, and Davina Porter's narration was pitch-perfect. Eugenia “Skeeter” Phelan graduates from Old Miss in the 1960s and returns home to Jackson, looking for a topic to write about. 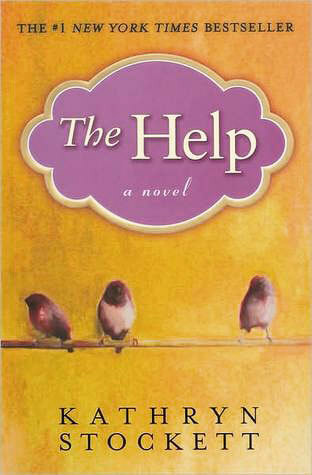 She decides to tell the story of the Help. Skeeter was raised by a kindly black maid, as were many of her friends. Now they’re having babies and hiring black maids of their own. Skeeter interviews the maids of Jackson to find out what it’s really like to be a black woman who leaves her own babies at home so she can earn a living raising white women’s babies. 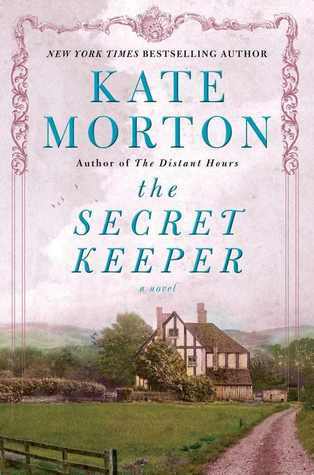 Any Morton novel would make a great summer read, but The Secret Keeper is her finest. 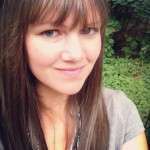 When she was 16, Laurel witnessed a violent crime involving her mother, Dorothy. The family hushed it up, and Laurel hasn't spoken of it since. Now, fifty years later, Dorothy is dying, and Laurel is determined to unravel the secret while there's still time. 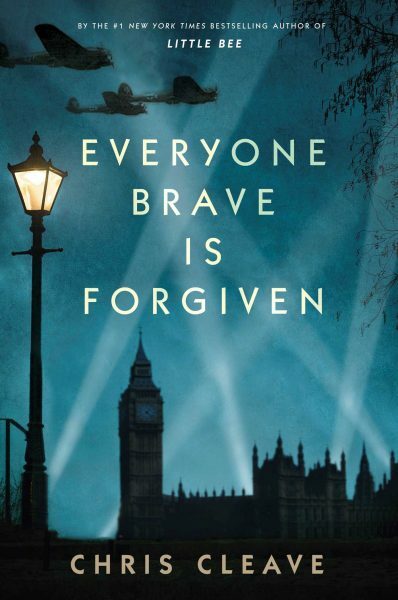 As Laurel pursues her clues, the story flips back and forth in time between today and the years before and during World War II, including the London Blitz, which Morton recreates so vividly you can almost hear the bombs dropping. Filled with twists and turns that will keep you guessing to the end. An intimate look at the life Zelda Fitzgerald may have lived with Scott Fitzgerald and the rest of the Lost Generation. 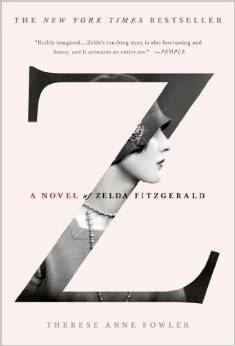 Though she’s often known as nothing more than Fitzgerald’s crazy wife (thanks largely to Hemingway), this fascinating and heartbreaking novel casts Zelda in a more sympathetic light. Book club highlight: what is truth, and what is fiction? Because Cleave tackles heavy-hitting subjects, this is the first of his novels I've had the guts to try. I knew I had to read this when my husband (who beat me to it) couldn't stop sharing Cleave's well-turned sentences aloud. 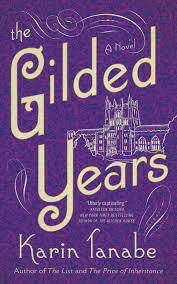 There have been so many WWII novels of late; this tale of four young, warm, wise-cracking friends in wartime England is a standout in the genre. Through their characters, Cleave throws issues of wartime morality, race, and class into sharp relief. This is for you if you love a great story and admire a beautifully-rendered, wry turn of phrase. Think of this as the witty but no less devastating companion to All the Light We Cannot See. Publication date May 3 2016. When his wife’s beloved brother goes missing in World War I, a Nova Scotian artist seizes the opportunity to join the Canadian forces as a cartographer, serving safely behind the lines in London. But when he gets to Europe, he’s instead sent directly into battle—and that’s just the beginning of his dangerous and confusing circumstances. A thought-provoking debut. 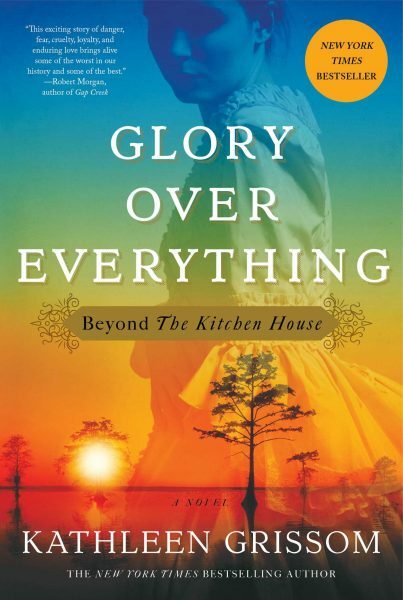 This thrilling novel is a dream come true for fans of The Kitchen House but it stands just fine on its own. Jamie Pyke is a man with a dangerous secret. He's been living far from his plantation home in the relative safety of Philadelphia, but when the son of a dear friend is captured by slave traders and sold down to Virginia, he risks everything to set off in pursuit of him. Grissom's rich characters practically leap off the page. Pair with The Gilded Years for a fascinating combo. Published April 5 2016. 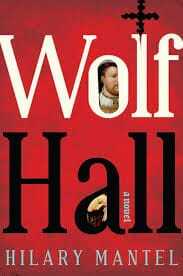 A hefty, believable, meticulously researched fictional take on Tudor England in the Cromwell era. Cromwell is one of the more mysterious characters of history, and Mantel does a solid job of filling in the blanks. The readers with great taste I rely on for recommendations are split on this one: some love it, some hate it. Either way, this 2009 Man Booker Prize winner is widely praised for its inventiveness. I picked a beautiful red copy up at a library book sale a few years ago and its been mocking me from my shelves ever since: I'm hoping to knock it off this summer. The publisher calls this Passing meets The House of Mirth. Tanabe's new historical novel is based on the fascinating true story of Anita Hemmings, the first black women to graduate from Vassar College, who passed as white to gain admittance. 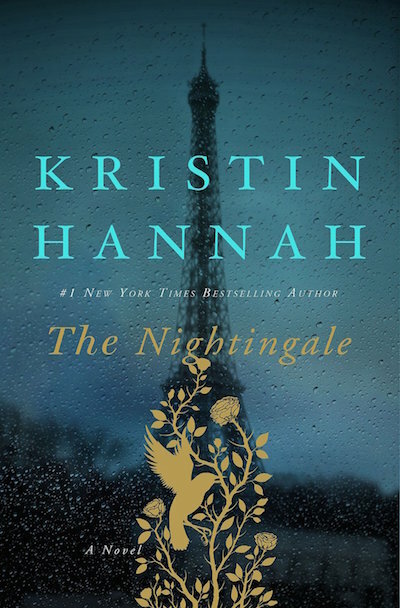 Set in turn-of-the-century New York, Anita's life becomes a lot more exciting—and a lot more dangerous—when her new assigned roommate belongs to one of New York City's most prominent families, and drags Anita into a new and glamorous world. But nothing means more to Anita than Vassar: she must keep her secret or she'll be expelled. As she desperately tries to straddle two worlds, she edges ever closer to losing not only her education, but the people she loves most. Publication date June 7 2016. This Gothic mystery is slow to build but those who persevere will be rewarded. The plot flips back and forth between World War II and the 1990s, but not in the way you'd expect. The setting is a crumbling old castle, which contributes to the story's creepy (but not quite scary) feel. 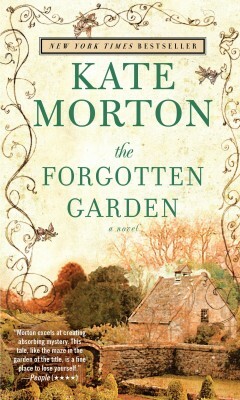 Some readers think this is Morton's best work. This has been on my TBR for a while, because so many historical fiction fans recommended this to me as Meissner's best novel. 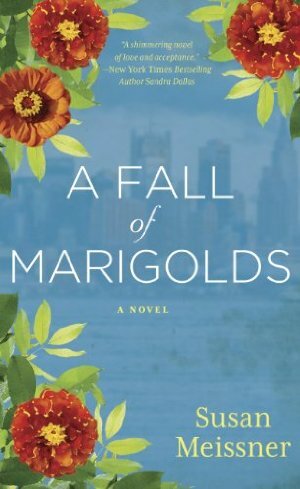 The action goes back and forth in time between two women, a century apart, who are linked by a beautiful scarf and by their unlikely survival in two devastating tragedies in New York City. Meissner's tone makes this an easy, enjoyable read despite the tough subject matter—I read this in a day. If the Brothers Grimm wrote The Secret Garden, this is what it would have been like. This sprawling family saga gets a little unwieldy at times, but I can't say I minded much. History, fairy tale, family drama, and Gothic mystery rolled into one. 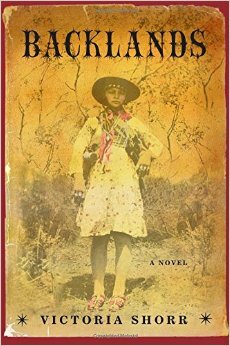 Booklist (starred review) calls this "With language evocative of the South ('craggy as a shagbark stump') and taut, almost unbearable suspense, dramatized by characters readers will swear they know, this galvanizing historical portrait of courage, determination, and abiding love mesmerizes and shocks." 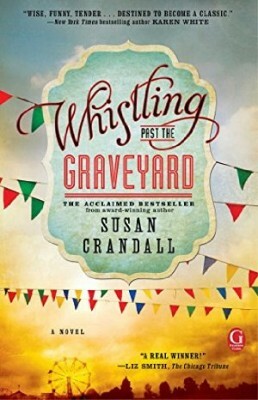 I've heard good things about Susan Meissner's historical fiction for years, but I must admit, it was the cover that convinced me to give her latest work a try: it was popping up all over the MMD Reading Challenge pinterest board for this category at the beginning of the year! Now that I've read it, I have a difficult time connecting the stylishly dressed woman on the cover to any characters in the novel, but since the teenage protagonist dreams of becoming a fashion designer it's not too far off. The story takes place during the London Blitz, which is probably why it reminded me so strongly of Kate Morton's <a href="https://modernmrsdarcy.com/books/the-secret-keeper/" target="_blank" >The Secret Keeper</a>. Enjoyable and moving. 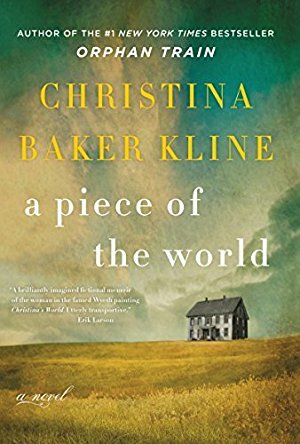 The author's working title (and desired title) for this work was Christina's World, named after the Andrew Wyeth painting so many of us fell in love with the first time we laid eyes on it. 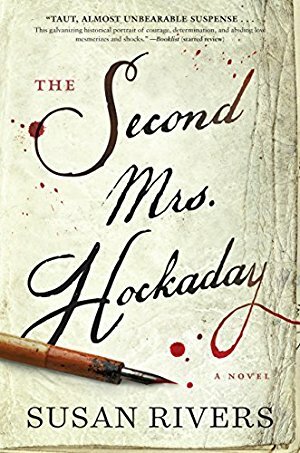 In this biographical novel, Kline upends the narrative, telling the story from the perspective of the portrait's subject, "middle-aged" spinster Christina Olson. This isn't a book that will make you feel warm and fuzzy inside. It IS probing, thought-provoking, and extremely discussable. 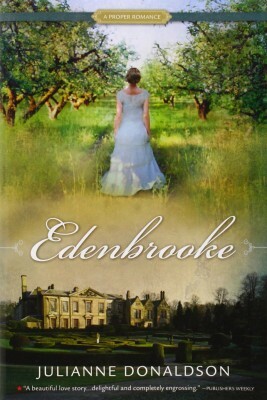 I loved this historical novel from the bestselling co-author of The Guernsey Literary and Potato Peel Pie Society. 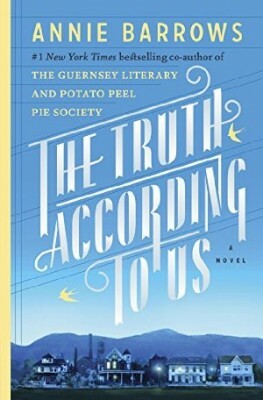 From the publisher: "Annie Barrows once again evokes the charm and eccentricity of a small town filled with extraordinary characters. 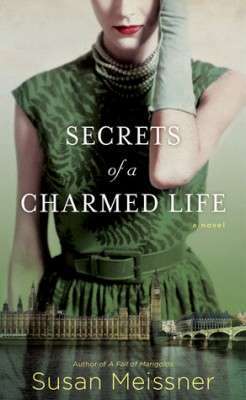 Her new novel brings to life an inquisitive young girl, her beloved aunt, and the alluring visitor who changes the course of their destiny forever." 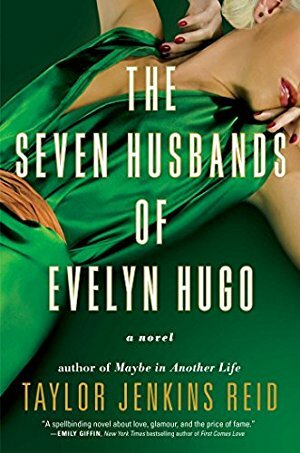 Taylor Jenkins Reid branches out with a new historical novel about a Hollywood starlet fashioned in the image of Elizabeth Taylor and Rita Hayworth. Series: 5 books with thought-provoking structures. I began this book knowing nothing about it, and it took me a while to get my bearings. 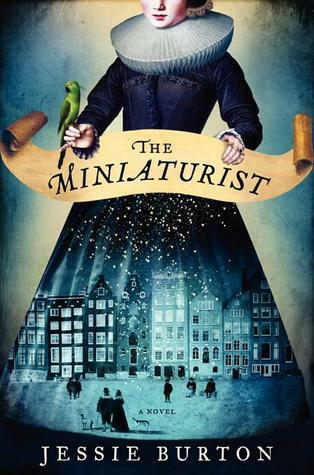 Atkinson's creative (and sometimes, mind-bending) structure shows clearly how tiny choices in her protagonist's life (and the lives of those around her) lead to vastly different outcomes. Vastly. Bonus: Atkinson's novel is packed with literary references that serious literary types will appreciate. From Jessica Howard: "I like to say that Georgette Heyer is like Jane Austen, but funnier. She wrote more than sixty books in a variety of genres, but my favorite are her Regency romances. 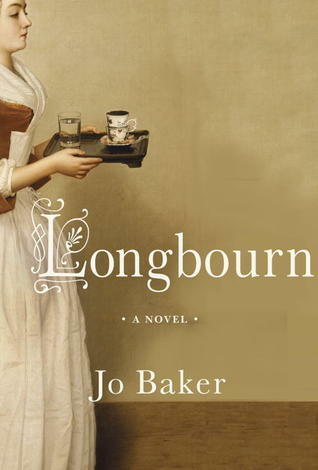 They’re clever, wordy, vivid depictions of 19th century life in the British upper class. 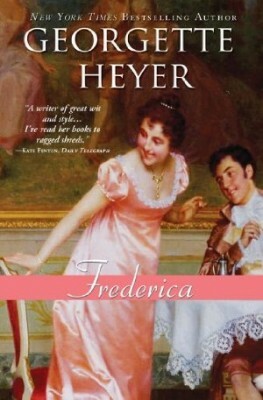 Frederica is one of Heyer’s best heroines - resourceful, funny, and intelligent. And the way she and her cast of hilariously demanding younger siblings take down the bored Marquis of Alverstoke? Priceless. Watching him transform from a top-lofty dilettante into someone who cares deeply about Frederica and her family is irresistible." In this timely coming-of-age story, set in 1963, a nine-year-old girl runs away from her Mississippi home, finds an unlikely friend, and sets out on a road trip that will change her life. Crandall writes gently but powerfully about what family really means, and how the most unlikely people can come to mean the most of us, despite race, class, or creed.